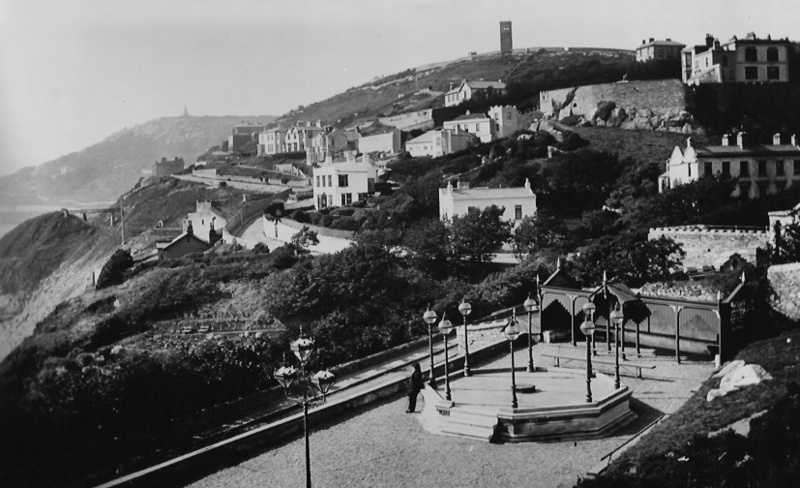 Leonard’s one act play A View from the Obelisk is set on Killiney Hill that can be seen in the distance on the left. The photograph in the page “About Hugh Leonard” is a rediscovery kindly supplied by a friend of the playwright. He is seen working in his office, a studio in the garden of his house in Killiney, in an image from the early 1970s. This is the desk he wrote at for nearly 50 years. To the left of the door, you can just about see his Prix Italia awarded in 1967 for the television play Silent Song. This site uses the WordPress theme “The Columnist” – chosen for its magazine format but a nice verbal fit with the subject. The monochrome in these initial illustrations picks up on Hugh Leonard’s important work in the early years of television and his love of old fillums.